Demeter has released a new set of LIMITED EDITION colognes. 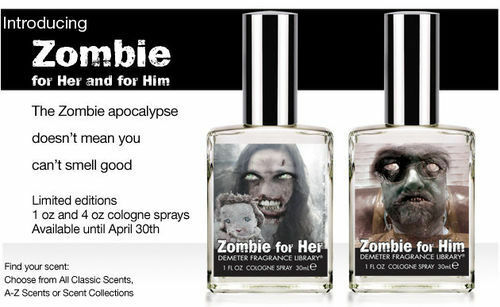 Zombie for Him smells of the forest floor including dried leaves and mushrooms. Zombie for Her begins with the dregs scraped from the bottom of a barrel of wine.